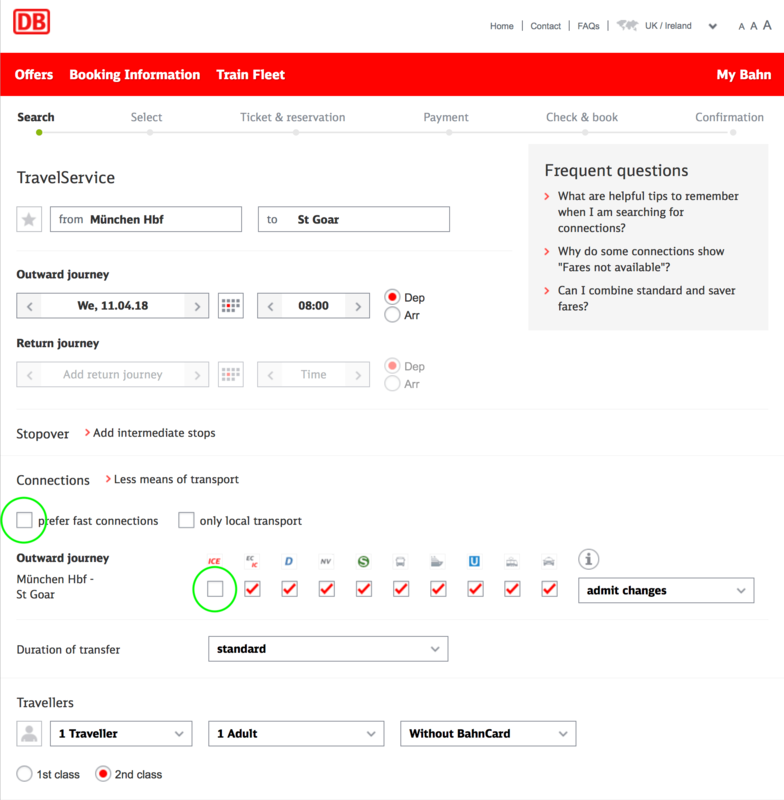 These two subtle, often overlooked tweaks are an effortless way to find cheaper German rail tickets when searching for connections on Deutsche Bahn's website www.bahn.de. The two blunt instruments for getting cheap fares are to book as far as possible in advance and to pick a day when fewer people are travelling. I like Tuesdays and Wednesdays. But once you've done that, or if your date is non-negotiable, try these two tweaks which can halve your train fare. I've got a search here from Munich to St. Goar on the Rhine - a longish trip involving changes. St. Goar is where Loreley is. So far, so underwhelming, no? The first thing to do is uncheck the box Prefer fast connections. Few people understand that this makes a difference. The search engine will now show you slightly slower, less direct connections which most people haven't found because they haven't noticed the box. 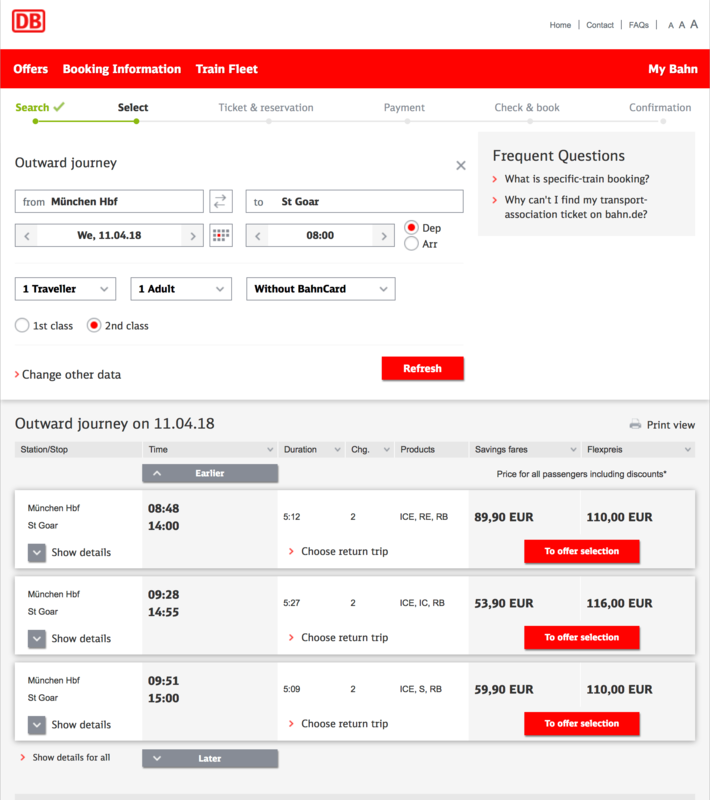 As Deutsche Bahn's long-distance pricing varies depending on how full a given ICE or IC train is, you will automatically be shown emptier and thus cheaper trains. The second tweak is to chuck out ICE trains. 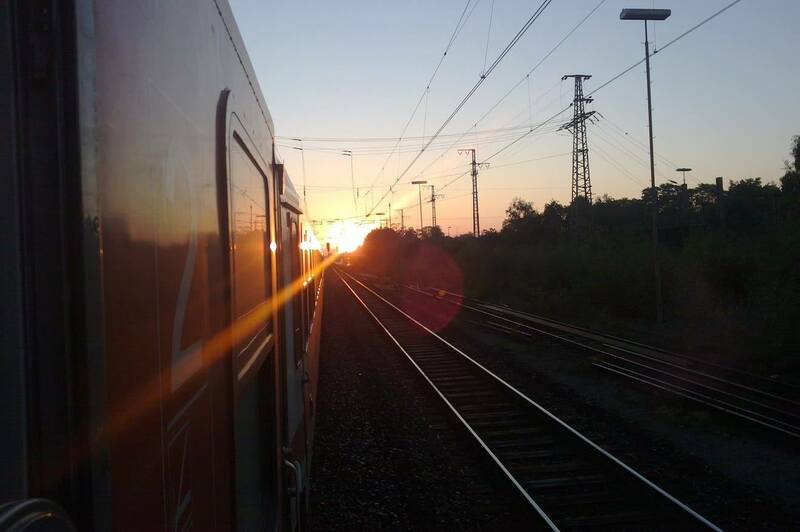 On many lines in Germany the ICEs go no faster than other trains. The Munich-Paris TGV service, capable of 200 mph in France, hobbles from Ulm to Stuttgart at 70 mph because the tracks allow no faster. The only connections where this severely lengthens your journey are where you cover great distances on high-speed tracks. Once you have taken out the ICE trains you get quite different results, as ICEs are the backbone of German long-distance rail travel. This brings up the Intercitys, which many people are not aware of as a cheaper alternative - one that often is hardly slower. I always try these simple tweaks when searching for tickets. There are many variables, and depending on where you are going these tricks can yield both better and worse results than the ones we have achieved here. 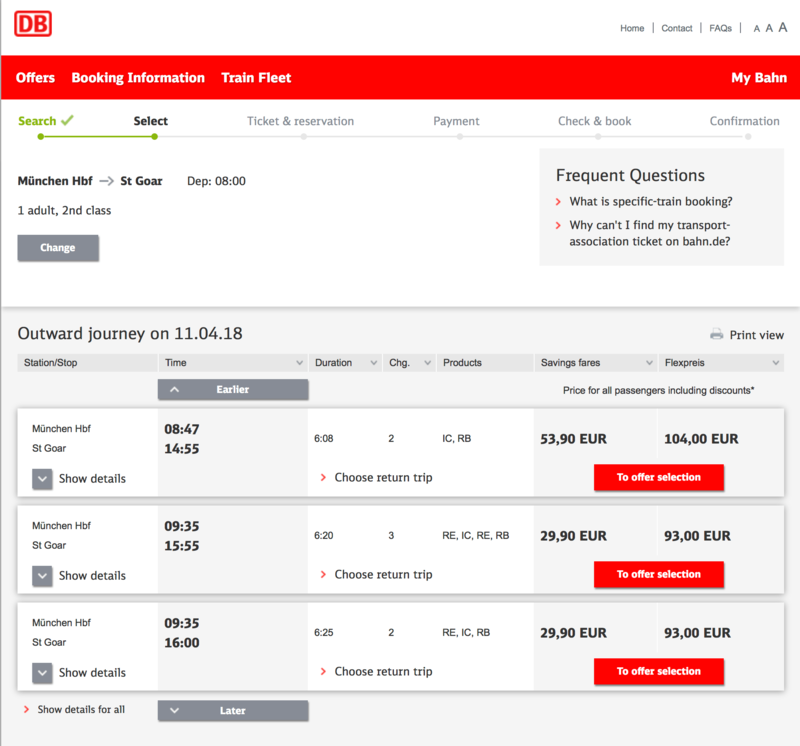 By unticking two little boxes on bahn.de you can cut your rail fare by 50%. I hope this helps you on your next trip to Germany. Let me know in the comments how much you saved! Want more of this regularly? Sign up ​for my newsletter and gain FREE access to my ​resource library, the Eurotripper's War Chest - full of useful e-guides. Do you know of any way to make the DB website NOT treat their long-distance buses as trains? Or do you know a website that is as good as theirs but doesn’t do that? It is really causing me trouble when planning a trip. I currently resort to entering a via-station, but that is cumbersome and I might not find some connections. So far, not. I remember trying to do it and not reaching a satisfactory solution. Please, tell me which destinations you are looking at. Is it Prague? Or Kraków? Warsaw/Gdansk and Copenhagen, all from or to Amsterdam. I’ve found nice connections in all those cases already. Oh, that used to be the territory of my beloved EN 447/446 “Jan Kiepura”. It had slip-coaches from Amsterdam to both Copenhagen and Warsaw. No more, sadly. I would get the Intercity to Berlin, spend the night there (perhaps at Berlin Ostbahnhof at the Ostel) and the next morning get a Polish Eurocity to Warsaw or Gdańsk. I know there are several to Warsaw and at least one to Gdynia by way of Gdańsk. Hi. 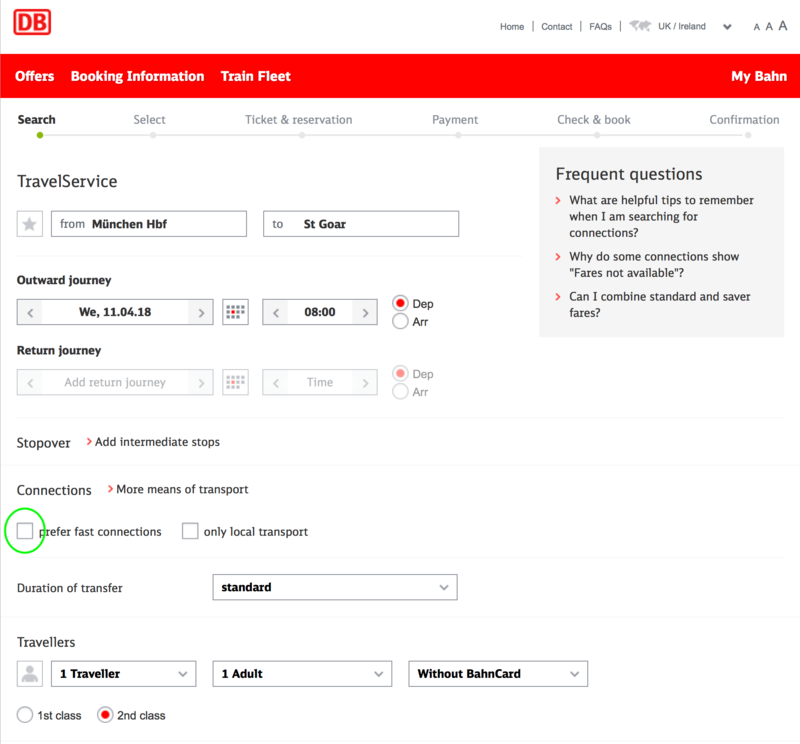 This issue with “IC-buses” being regarded as trains (and therefore not capable of switching out) is something DB have refused to alter – in other words, it’s a deliberate policy. Strongly recommend the excellent Czech Railways journey planner at cd.cz, which has this functionality correctly implemented. The journey planner generally works well for almost any rail journey in Europe (including those nowhere near the Czech Republic!). And if your journey is to CZ itself, you will find many fares far cheaper than DB will offer (such as ca. 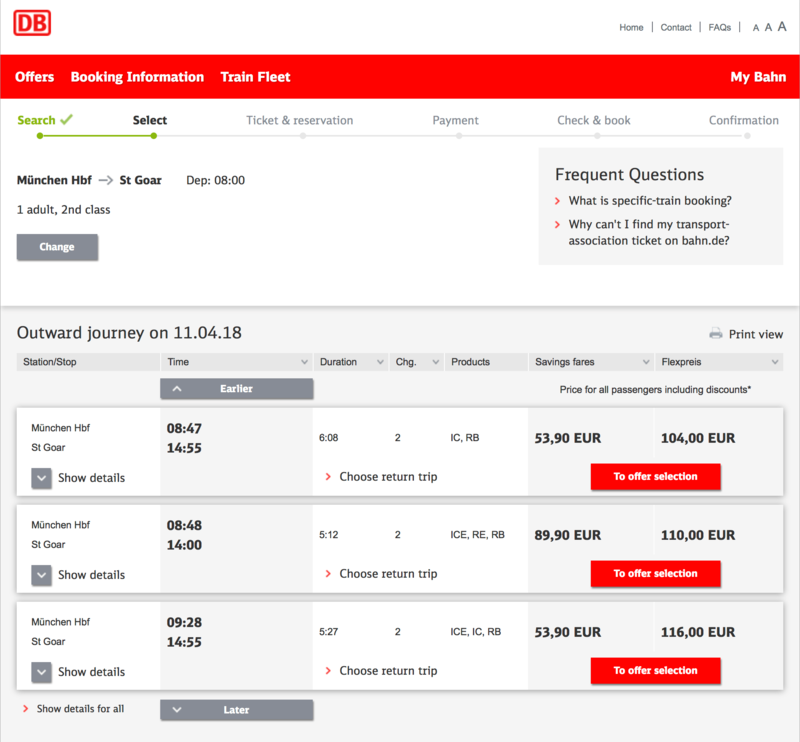 €19 one-way Brussels- Prague via ICE to Frankfurt and Nürnberg, local to Cheb, express forward). 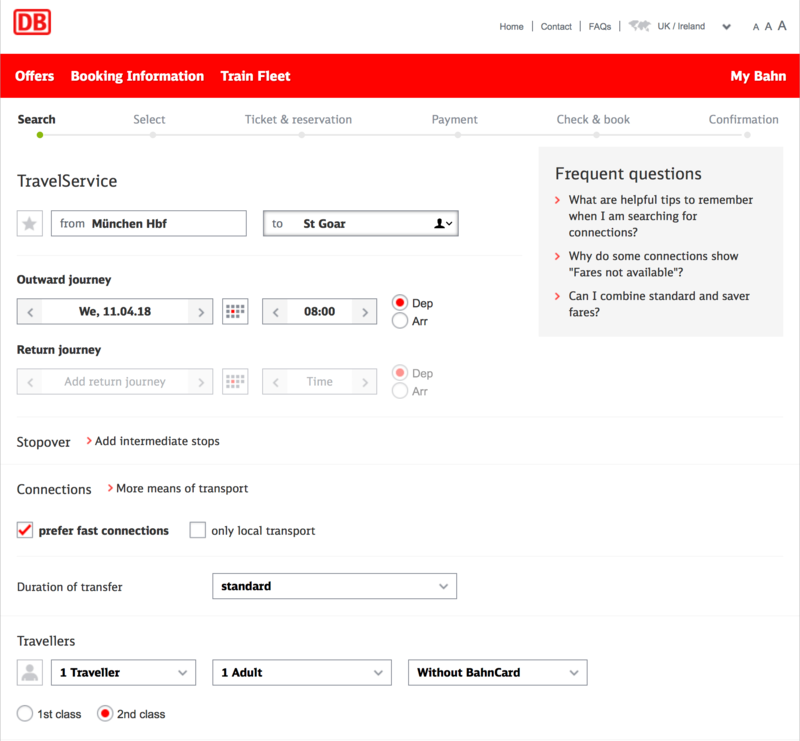 If there is no cheap ČD ticket, simply use the travel info from their journey planner to force DB to show the correct journey by using “via” points. Thank you for your comment, Mick. Yes, I only use ČD’s site for my Czech journeys – and indeed for lots of stuff within Germany. I highly recommend that everyone interested in Central European rail travel set themselves up a cd.cz account.